The West African Ornithological Society grew out of the Nigerian Ornithologists’ Society, which was founded in February 1964 by John H. Elgood, Professor of Zoology at the University of Ibadan (Nigeria) (died in 1998 — obituary in Malimbus 21: 74–75, 127–128) and Robert E. Sharland. Its object is to promote scientific interest in the birds of West Africa and to further the region’s ornithology, mainly by means of its journal Malimbus (formerly the Bulletin of the Nigerian Ornithologists’ Society). This journal is biannual and bilingual, a unique feature in Africa. The NOS publication, Bulletin of the Nigerian Ornithologists' Society, had for some time accepted papers on the birds of other West African countries until, on 17 September 1977 at Liverpool, the NOS Council, wanting to expand the reach of the society, invited French speaking ornithologists (e.g., Claude Chappuis) to discuss the matter and thereupon decided to “westafricanise” the society, and cover the entire West African region. A notice to this effect was published in Bull. NOS 13: 85 (1977), along with a request for suggestions for a new name for the Bulletin. John Elgood put forward the name Malimbus, a passerine genus nearly endemic to West Africa, and this was eventually chosen as the title of its journal. The first issue of the new journal, in 1979, appropriately began with a paper reviewing the genus Malimbus and describing what was then thought to be a new species, the Gola Malimbe. This was later found to be the same as a species recently described from Ivory Coast (M. ballmanii). West Africa, for the purposes of the Society, had boundaries undetermined at first, but was eventually defined as comprising 28 countries. The new society named as President Prof. Brian J. Harris and as Vice-President Dr Gérard J. Morel. Thus, from the beginning, there was that mixture of languages in the affairs of the society that has been one of its founding characteristics. Also named then was Bob Sharland as Treasurer. He has held that post (now also Membership Secretary), with general satisfaction, since the founding of NOS in 1964, with only an 18-month gap in 1973-4 when Jo Heigham acted as Treasurer. The Council has consisted of 6-8 permananet members: President, Vice-President, Treasurer, Managing Editor, Secretary to Council, and Council Members. In 1988, John Elgood announced (Malimbus 10 : 141) a change in Council following the resignation of Prof. Brian Harris. Gérard Morel became President, with John Elgood as Vice-President and Amberley M. Moore as Secretary to Council. Amberley handed over as Secretary to Roger Wilkinson in 1995, and John stepped down in 1997 (appreciation: Malimbus 19: 49–50), to be replaced by Hilary Fry as Vice-President. In 2000, a new Council post of Meetings Secretary was established, with Hazell S. Thompson as its first incumbent. In 2004, another new Council post was created, of Webmaster, with P.W.P. Browne as first holder. 1968–1972: Roy H. Parker (died 1999 — see Malimbus 21: 128). 1973: a gap, when a replacement editor was sought; John Button and Philip Hall were suggested. The Editor has often had the aid of a more or less formal Editorial Committee. Since 1990, this committee has comprised the referees of papers included in (or rejected during the period of!) each issue and, as such, has varied according to the needs of each issue. The Council meets if possible each year, in a place convenient for the majority of Council members. 1989, UK: A joint meeting with the British Ornithologists’ Club on 26 September (see Malimbus 11: 1, Bulletin of the British Ornithologists’ Club 109: 185), chaired by John Elgood as both Vice-President of WAOS and Vice-Chairman of BOC, and with 16 WAOS members present, of whom 11 were also BOC members. From 1990, a decision was made to try to organise biennial General Meetings. This has not always been possible due to the great amount of (voluntary) effort required. However, the following meetings have been held. 1990, France: at la Haye-du-Puits, Normandie, 9–20 May, attended by c. 25 members. The Groupe Normand d’Ornithologie assisted in the organisation (report in Malimbus 12 : 97–99). 1992, UK: on the coast east of Felixstowe, 15–17 May, attended by c. 25 member; organised by Roger Beecroft (report in Malimbus 14: 34–35). 1994, Netherlands: at Kampen near the Ijssel estuary, organised by Jan Nap 6-8 May. 1996, Ghana: 3 December, at Accra, during the 9th Pan African Ornithological Congress (PAOC). Attendees, who included WAOS members and other interested individuals, were all highly appreciative of this meeting and asked that a similar meeting be organised in conjunction with each PAOC. Council therefore decided to try to hold such a meeting at each PAOC, to provide an opportunity for WAOS members resident and non-resident in the region to meet every few years and discuss Society issues. 1998, France: in the Seine valley at Beuzeville, Haute-Normandie, 6-7 June, once more organised by Roger Beecroft and Gérard Morel; on the programme a field trip to Hode Marsh (with the Groupe Normand) and Brotonne Forest with C. Chappuis (Malimbus 21: 70–73). 2000, Uganda: at Kampala during the 11th PAOC; attended by 16-20 members and non-members. WAOS materials were displayed throughout the Congress. 2004, Tunisia: a meeting on 21 November, billed as "The future of WAOS", is planned in conjunction with the 12th PAOC. Annual membership of NOS originally cost 10 shillings, rising to 15/- in the second year, then to £1 and to £2 in 1976. It increased to £4 at the creation of WAOS in 1979, £6 in 1982, £10 in 1990 and £15 in 2008. At the 1998 General Meeting a voluntary supporting membership rate of £20 per year was introduced and has been widely adopted by members. It was increased to £35 in 2008. In 1977 a higher rate of £5 was brought in for institutional subscribers, which was increased to £10 at the creation of WAOS and Malimbus, then £15 in 1982, £25 in 1990 and £30 in 2008. We managed to maintain the rates for so long despite little change in membership (currently about 300 ordinary members and 60 institutional subscribers) or in the number of pages published annually in Malimbus over this period, by maintaining or even reducing the costs of printing the journal over the years, while at the same time improving the quality of its paper and presentation. Indeed, this successful financial management of the Society and its journal allowed us to introduce in 1993, following a poll of membership, (Malimbus 15 : 101–103), research grants of up to £500 (Malimbus 15 :103–106), preferably awarded to African students, with an obligation to publish a report in Malimbus. In the same issue details of award conditions were published. Our financial strength has also allowed us to send free copies of the journal to selected African libraries. Publication frequency: the original aim of NOS was to produce a quarterly bulletin. This was maintained until 1969 but sometimes slipped during the years until 1975, when it settled to two issues a year, a pattern maintained by Malimbus. Page size: “Bull. NOS” was originally a stencilled, foolscap-sized publication but shrank to quarto in 1969 and then further to A5 in 1975. This size has been maintained ever since, including all issues of Malimbus. Publisher: Bull. NOS was first produced and issued from Ahmadu Bello University at Zaria in Nigeria. During the period 1968–1972, Roy Parker edited and produced it from Ibadan, and it then returned to Zaria in 1974, in association with ABU Press. An ISSN number (0331-0876) was first published in Bull. NOS in what was to be its last volume, in 1978. The number changed to 0331-3689 with the establishment of Malimbus. Pages per year: the foolscap volumes of Bull. NOS (marked “f” to “f” on the chart) averaged 94 pages per year. The quarto volumes (“q” to “q”) averaged 81 pages with 2–4 issues per year, but including 1973 as “0 pages” when no issue was produced. The A5 volumes of Bull. NOS averaged 106 pages (ranging from 88 to 152), comprising two issues per year. Malimbus has continued this pattern with little change (see the chart). Up to and including Volume 26 (2004), the mean number of pages has been remarkably steady in the long term, averaging 119 pages per volume of Malimbus, mostly varying between 92 and 160 pages. The maximum of 230 (according to the page numbering it was “227” but the issue 10(1) was mis-numbered in the first few pages) included one of the two special issues that have been produced (marked S on the chart), an annotated checklist of the birds of Niger. The other special issue was on the avifauna of Ivory Coast. In 1970 a separate “Checklist of the Birds of Nigeria” was produced, with separate page numbering, not included on the chart. Occasional low page numbers have been caused by shortage of submissions, which resulted in the publication of only one issue in each of Vols 24 and 26 (2002 and 2004; marked “1” on the chart). The single issue of Vol. 6 (1984) was due to production difficulties rather than lack of material. Malimbus editors have occasionally published complaints about shortage of submissions, including the low periods of Vols 3–6 (1981–4), 12–14 (1990–2) and recent years, Vols 22 (2000) onward. Hopefully this latest low will prove to be as temporary as previous ones. The planned publishing schedule of Malimbus has always been twice per year, initially in May and October, following the pattern of the later Bull. NOS, even though the the Bull. NOS schedule was originally intended to be March and September (see Bull. NOS 11: 1). However, in addition to the years when only one issue was produced, this schedule has occasionally slipped, due either to shortage of material, or to pressure of other work on the editor, whose job has always been voluntary. After a period of irregular publication from about 1983, achievement of a regular publication schedule was stated as an aim in 1989, the objective being March and September each year. This was finally achieved in 1997 and, apart from occasional delays of one month, was held until 2001, when lack of material has retarded it for almost every issue. The character of the journal and of submissions has also changed very little during the lifetime of the journal. A questionnaire survey in 1993 confirmed that the majority of members were satisfied with the journal’s content. The commonest field of papers has always been avifaunal studies. This is perhaps inevitable in a region and subject where a large proportion of studies are carried out by amateurs, but it is a pity that most scientists continue to send their more analytical work on the birds of West Africa to other journals, even in cases where the impact of the competing publication could hardly be regarded as higher than that of Malimbus. Still, it is gratifying to note that, in works on the birds of West Africa, Malimbus is probably the single most-quoted journal (as in Academic Press’s The Birds of Africa for example). We welcome submissions on any aspect of West African ornithology, and wish to encourage publication of more analytical science in the journal. In addition to the journal itself, the Society has also produced indexes to volumes of Malimbus. Up to Volume 17 (1985), these were compiled by John Elgood as indexes of scientific names and authors, and published in consolidated form for Volumes 1-6 and annually for Volumes 8-17. From Volume 18, Bob Dowsett compiled similar annual electronic indexes and the consolidated form of these for Volumes 18-25 was published in Malimbus in 2004. In 2005, P.W.P. Browne converted the Elgood indexes to electronic form and combined them with the electronic version of Dowsett's index of Volumes 18-25 to produce a consolidated scientific index of Volumes 1-25. From this, English and French indexes were made, with the help of Dowsett and Gérard Morel, and all were placed on this website. Dowsett has continued to compile annual electronic indexes and these have been used by Browne to update the consolidated indexes found here. Scientific and author electronic consolidated indexes for all volumes of the Bulletin Nigerian Ornithologists' Society (precursor of Malimbus) were produced and posted in 2006 and 2007 by Browne and Dowsett on the website here. Reference services citing Malimbus: in 1979, Hilary Fry produced a Coded Bibliography of African Ornithology of publications from the years 1975–8, as a supplement to Malimbus. This was supplemented annually until 1986, and then taken over by the editors of Tauraco. After some years in abeyance, this has now been revived as part of a worldwide bird literature database (OWL) on the web, at www.birdlit.org, which replaces the Recent Ornithological Literature (ROL) supplements formerly produced by BOU, AOU and RAOU (see Malimbus 26: 45–46). P.W.P. Browne has contributed most abstracts of Malimbus contents (papers and short notes) to ROL. Other contributors include R.J. Dowsett, C.H. Fry and J. A. Horsfall. Lists of members of WAOS was produced from time to time (1985, 1990, 1993, 1997, 2000 and 2004), the intention being to issue a list approximately every three years. This website was initially designed and installed by Julien Guyonnet in 2003. It has been redesigned, maintained and developed since 2004 by the present Webmaster. Keith Betton supplied the file from which the Tables of Contents pages have been prepared. Joost Brouwer has provided helpful comments resulting in improvements to the website. G.J. Morel and Nils Robin have translated various sections into French. Contributors to this account: G.J. Morel, R.E. Sharland, A. Tye, P.W.P. Browne & H.S. Thompson. If anyone has additional information or corrections to this page or to others on the website, please let us know by writing to the Webmaster. 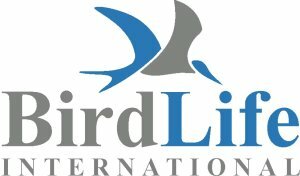 BirdLife Africa Partnership BirdLife International is a global Partnership of non-governmental organisations (NGOs) striving to conserve birds, their habitats and global biodiversity, working with people towards the sustainable use of natural resources. Currently, the Partnership works in more than 100 countries through 112 national grassroots conservation NGOs. In Africa, the BirdLife Africa Partnership is a growing network of 22 such organisations plus one Country Programme, covering 23 countries, with a combined total of more than 300 staff and 30,000 members. Partners are involved in research, conservation action, environmental education and sustainable development through a broad agenda focusing on birds, other fauna and flora, and socio-economic issues such as poverty alleviation. African Bird Club The African Bird Club is a UK registered charity that provides a worldwide focus for African ornithology and raises money to support conservation projects in Africa. Its website provides information about Africa, each African country and its birds. African Bird Image Database The African Bird Image Database has been created to bring together photographs taken in the African region of as many bird species as possible. It provides both a useful tool for researchers and a splendid collection of photographs for anyone to browse. xeno-canto/Africa xeno-canto/Africa is a major new website for bird sounds of the African region. It has comprehensive search and mapping capabilities and the ability to identify mystery songs. Users of Xeno-canto/Africa are expected to be birders, ornithologists, researchers, tourists and anyone with a general interest in the birds of the region.